Although low water intake has been associated with adverse health outcomes, available literature indicated that the majority of children do not meet the water intake guidelines and they are underhydrated based on elevated hydration biomarkers. This review examined the water intake habits and hydration status in children from 32 observational studies (n = 36813). PubMed, Web of Science, and CINAHL were used to identify relevant articles. 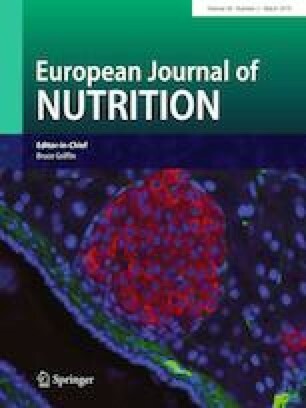 Total water/fluid intake from 25 countries was compared with water intake recommendations and underhydration (urine osmolality greater than 800 mmol kg−1) was assessed. Risk of bias was assessed using customized categories following the review guideline for observational studies. From 32 studies, only 11 studies reported both water intake and hydration status. 12 out of 24 studies reported mean/median water/fluid intake below the guidelines, while 4 out of 13 studies that assessed hydration status indicated underhydration based on urine osmolality (greater than 800 mmol kg−1). Among the 19 countries that reported comparison of water/fluid intake with guidelines, 60 ± 24% of children (range 10–98%) failed to meet them. These findings suggest that children are not consuming enough water to be adequately hydrated. The authors wish to thank Abigail Colburn and LynnDee Summers for their editorial support. HS, the lead author, helped developing the search question, conducted the analysis, and wrote the manuscript. SAK helped in developing the search question, provided input on the analytic strategy, reviewed and edited the manuscript. All authors read and approved the manuscript. The authors have not received any funding for this review. SAK has served as scientific consultants for Quest Diagnostics, Standard Process and Danone Research. SAK has active Grants with Danone Research. HS has no conflicts to declare.